Get all my Eye Enhancers from Cover Girl for only $0.04!!!! Through 10/15/16 Rite Aid pharmacy is having a Buy 1 Get 1 50% off to their Cover Girl products. 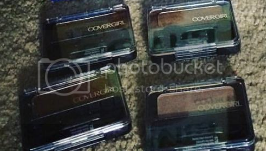 I have found a nice coupon online for $2/1 COVERGIRL Eye Product [excludes 1 kit and trial/travel size] that you can print out at home. All you need is a computer and a printer and you can get your coupon.